Who wouldn't want to sleep for hours in these snug spaces? A boho bodouir is sure to make you feel like you're going glamping, even without having to leave the comforts of your home. To cop the look, invest in high-quality tapestry, mix and match different patterns and showcase them in different parts of the room—be it the bed, hanging on the walls or laid out on the floor. Hop on the millennial pink train by changing your sheets to something that comes in this sweet hue. If you want to tone down the daintiness of this look, you can mix in a few slate gray pieces which will surely give it a unique edge. We're sure thick knitted blankets make you want to jump in bed for a long nap! Achieve the same look by layering your bedding—feel free to pile on as much pillows, throws and sheets on the bed as you want. Just make sure to stay in the same scheme to avoid clashing colors. 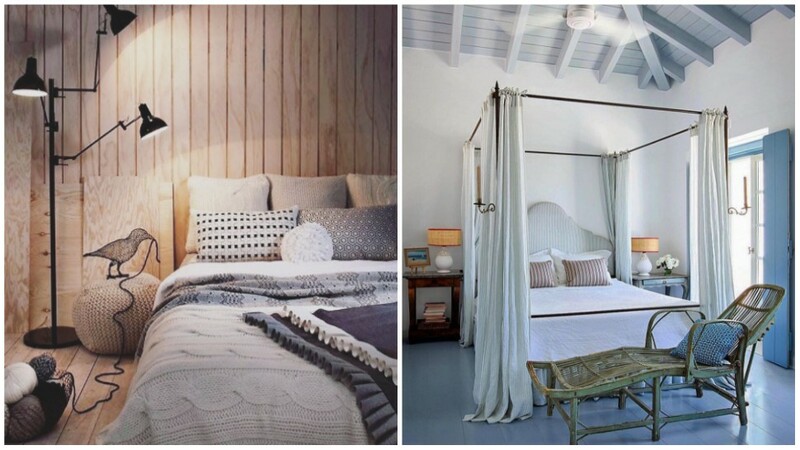 Four-poster beds aren't just plainly for aesthetic—they're quite functional, too! Canopy curtains are great for blocking out the sun when you want to clock in a few more hours of sleep. Keep your bed from getting too hot by picking out sheer fabrics for your bedding and drapes. There are only a handful of things better than sleeping on a bed with clean and crisp sheets. What better way to showcase this than with fresh white bedding? Add life to the space by displaying a few planters around the room.